Perfect Picture Book Friday: Hatch! It’s great to be back for PPBF! Today’s selection comes from an author I’ve recently “met” online – Roxie Munro. I was at the library with the kiddos earlier this week, and the book cover caught my eye. I was delighted to find it was one of Roxie’s! Opening and brief synopsis: From Kirkus: The selection of birds allows for both the familiar – ostrich, hummingbird, eagle – and the unusual: black-legged kittiwakes, cactus wren, pegged for both the musicality of their names and some good and strange facts. Birds that sleep on the water with one eye open? Birds that build a nest as big as a car? Birds that can dive 700 feet under water? A bird taller than a professional basketball player? Birds that squat on anthills for the stinging thrill of it? They are all here. Munro doesn’t just dole out the odd facts, but paints – literally and figuratively – a fine portrait of each bird, the kind that will keep a young reader rapt. Why I Like This Book: I’m sure I’ve mentioned that my son is a huge nonfiction lover – usually the more boring (in my opinion) the better (in his). So it is always a special joy to find a book that we can both love. Hatch! fits the bill perfectly. The illustrations are so true-to-life and beautiful that we could both look at them for hours. The facts about the birds are fascinating – not a boring one among them! We both learned loads from reading the book, and my son loves guessing which kind of bird is going to come from which egg and why. Superb! 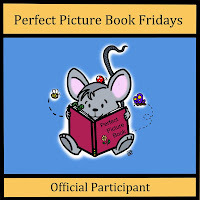 For more books with resources please visit author Susanna Leonard Hill’s blog and find the tab for Perfect Picture Books. Everyone always thinks non-fiction pbs are boring, but this looks fab! I think we should all try and write one non-fic amongst the 12×12, good idea? That’s a fabulous idea! I actually love narrative nonfiction pbs and introduce them to my students all the time. They can be so complex and so accessible at the same time. Children find them fascinating and so do I. I think it would be challenging–in a good way–to try to write one. Hatch sounds like a wonderful book! When I was teaching third and fourth grade my kiddos loved non-fiction. Non-fiction done right teaches kidlets is a fun way and that’s how they love learning. This sounds super fantastic! I’ll look for it. I like Catherine’s idea. Maybe I’ll write one next month for 12×12. True. I love learning from them too! Oh, I am putting this on my list right away. We just enjoyed, “An Egg is Quiet,” which Laura recommended a few weeks ago. With spring upon us, it’s nice to read about Mother Nature. Yes, I thought an egg book would be appropriate for spring. This one is really special. This looks like a really neat book. And yes, I encourage everyone to try their hand at nf for a 12X12 challenge. So far 2/3 of mine are nf & I’ve found they take longer because you need to double check the research. But at least you can get a rough draft. Ah, there’s something comforting about seeing MUNRO on a picture book cover. LOL Love Roxie’s art and books. And keeping them on my books shelf is inspiration to get one of my own published to put next to hers. HATCH looks like a great book. I’m going to try to get it this weekend. This is a gorgeous book, which I gave as a gift to my 2 year old grandson. He loves birds, but is a bit young for HATCH. Si it’s a treasure for him to grow into. But I do get fed up with all the adults who say “non-fiction is boring”. Anyone who’s ever shared books with young children, especially boys, knows that’s simply not true Many of the young non-fiction books I’ve written, and/or illustrated keep going, year in and year out. That proves someone’s reading them and loving them! Anne, we are HUGE fans of your books in my house. I truly thank you for writing books that both of my kids, but especially my son, have loved and treasured. You have inspired them as readers and me as a writer. Nonfiction SHOULDN’T be boring. Your books and books like Roxie’s prove that it doesn’t have to be. If all nonfiction books were as beautiful and interesting as this one, more kids (and adults!) would love reading them. Thank you, Julie, and Anne, and all you kind engaged folks…YES! Nonfiction does NOT have to be boring, as Julie and Anne and all these comments note. Actually, truth is stranger than fiction, as we all know. There are wonderful wild critters out there, among other magical aspects of nature, and life. Roxie – it’s so true that truth can be (and often is) magical. Authors who can bring that forward in books are magicians who inspire our kids. Wow! I really NEED this one. Gotta a book in the works you haven’t seen yet and this one could really help me out. THANKS! I haven’t heard of this one yet. I can definitely see my son enjoying this book. He’s a big fan of birds and non-fiction stories. Thank you Julie! Sounds like a fun non-fiction book. Will have to check it out. Thanks! I have one that is a fan of non-fiction too. This one looks like it would be a good choice for him. Thanks for the recommendation! I love nonfiction children’s books, especially one that looks as special as this selection. We certainly had a lot of books today about nature — spring must be in full bloom! I think kids would be fascinated with this book. Very interesting activities. Great choice Julie. This book sounds quite interesting! I love odd, quirky facts. The world is such an interesting place. I don’t remember how old your son is, but he may enjoy the “Oh, Yuck” and “Oh, Yikes” books by Joy Masoff. Odd facts from science and history. I love nonfiction fun. Thanks for sharing this title. This sounds like one my younger son would enjoy though both have loved bird books all their life. I may venture it’s title to one now even though they are thirty years old. Hey, I still love picture books so why wouldn’t they? It’s such a relaxing way to learn to about one’s environment. And birds are their favorite. This looks really good, Julie. I love the cover illustration. When I saw the title, I couldn’t wait to get over here and see what this book was about because my nephew has an imaginary child named Hatch. Hatch joined him right after his mom gave birth to his twin sisters. He said his child’s name is Hatch since he hatched right out of him! Anyway….I think this Hatch is more realistic! We are big bird lovers at our house. My daughter and I went on our first bird walk last year at site that was recently named an important bird area by the Audubon Society. It was fascinating to be listening and observing birds with people that were experienced birders. Thanks for the suggestion! I’m going keep my eye out for this one. Thanks so much for the recommendation, Julie! As my Mom calls us affectionately, her “birds”, birds have a fun, special meaning in our family. Will really enjoy checking this out… And thanks again for checking out my photos!!! (big smile!!) p.s. Welcome Home! HA HA! “Hatch! fits the bill perfectly!” Love it! I like the idea of a nest the size of a car (guessing it’s an eagle’s? Also, wouldn’t that be like a mansion for us?)! Poor bird that sits on fire ants (I’m guessing). He must always be in pain. 😉 I will HAVE to check this book out! Thanks Julie, sounds like a wonderful book. I checked it out on Amazon, wonderful illustrations and fun facts. I ordered it for myself, I love anything about birds. It also inspires me to think non-fiction for my next draft. You sold me with your description of the various birds featured in the book. I’m intrigued! Thanks for the great selection! Julie, my elementary students crave nonfiction! This sounds like the kind of book that they would really love. It’s going on my list for sure! The title of this book caught my eye . . .
Non-fiction boring? Not so! I love non-fiction and so do most children…nature, science, the world, stories about real people…they eat it up! Thanks, Julie, for a great PPBF selection.